Welcome, Maharanis! 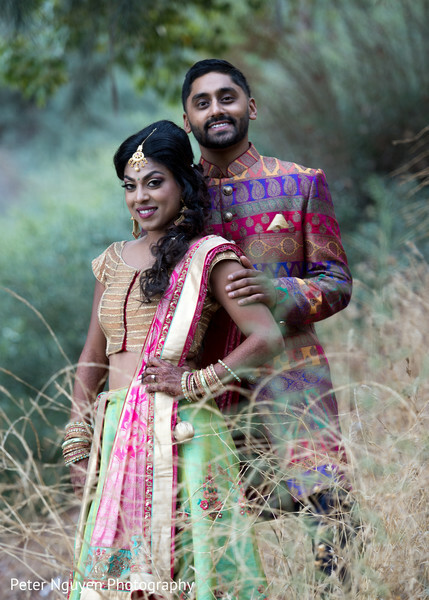 Nilam and Jay’s chic vibrant Southern California Wedding is a total visual delight that will take your breath away. 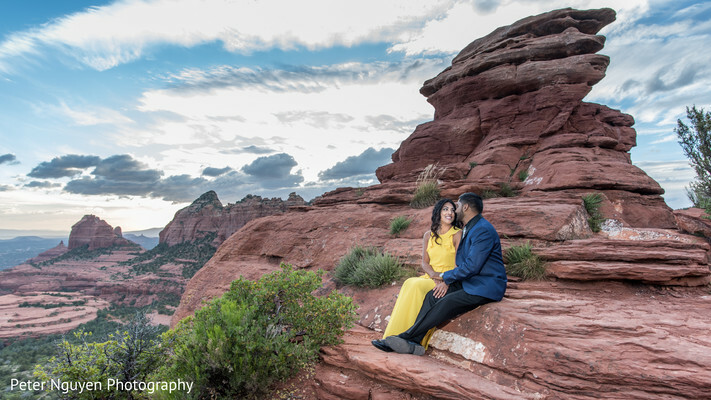 Today’s couple announced their love to the world with an amazing engagement photo shoot in Sonoma, surrounded by red-rock buttes and steep canyon walls by Peter Nguyen Photography who offered us a total optical experience. What a glorious scenario! And that was just the beginning. 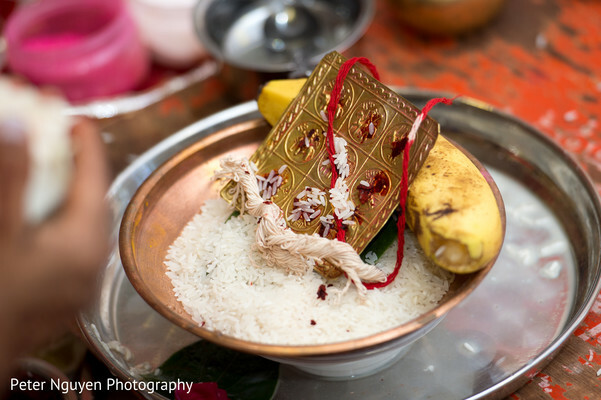 The celebrations previous to the wedding day, were filled with ceremonies, traditions and beautiful details. 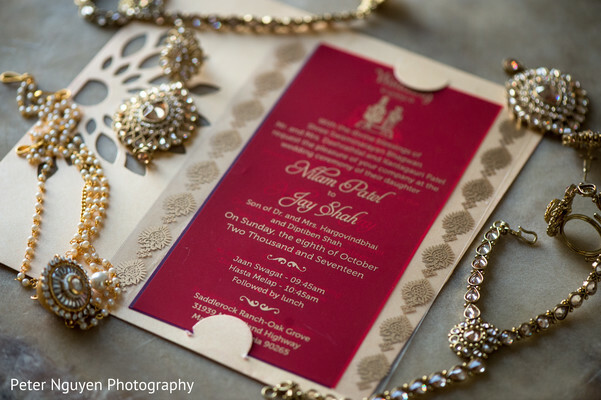 And as the occasion deserved it, Nilam and Jay’s impeccable pre-wedding looks were nothing but divine. 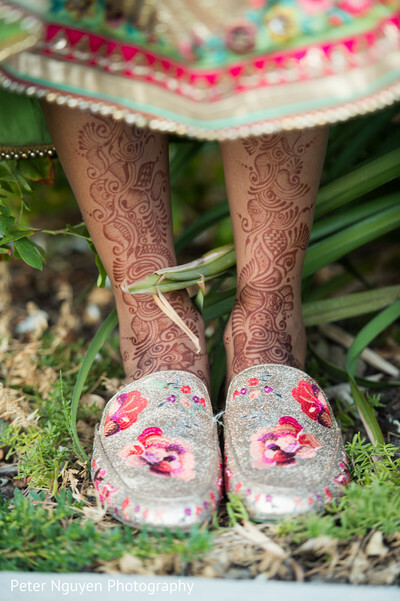 Nilam’s feminine floral flat mules, are one of the best bridal shoes selections I have seen in a while! Super comfy for an outdoor photo shoot. 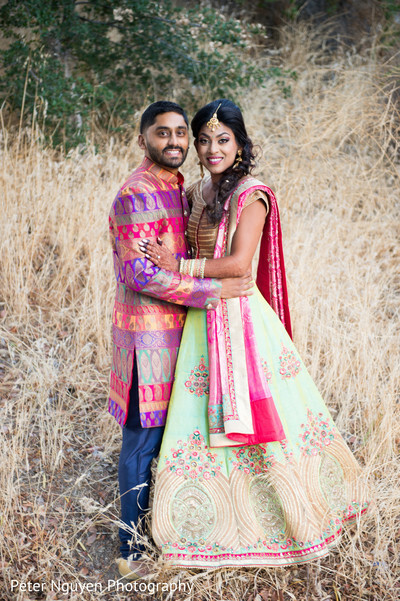 The bride-to-be's, mint fresh lehenga skirt effortlessly synchronized with her prince Jay, who wore a bright multicolored sherwani. Making both attires worthy to emulate. 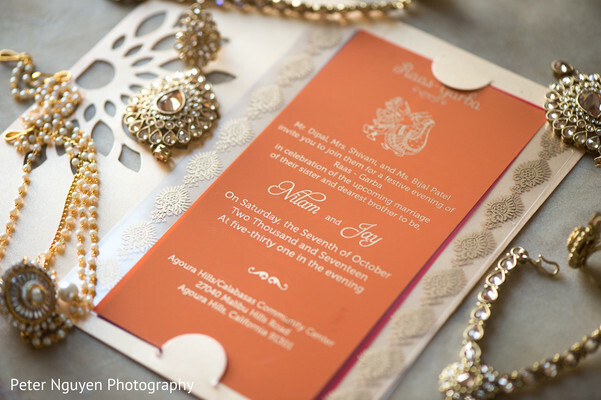 The beaming colors and delicate details of the wedding invitation set, gave the guests a glimpse of what to expect of the upcoming marriage. Planning Elegance in combination with Best Friend Events’ pro squads made sure every element of this southern Cali fairy tale was perfectly prepared. 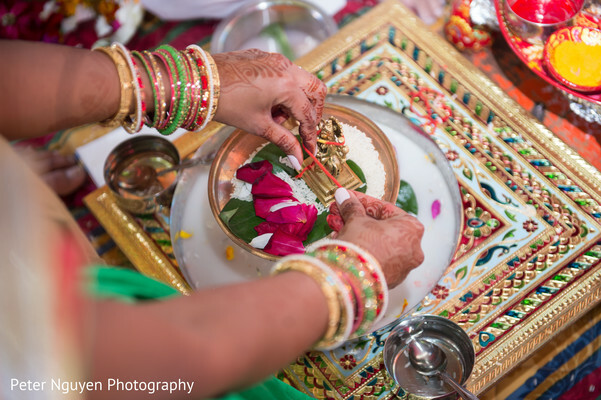 We can’t wait to show you all the color, joy and love from this Indian wedding Malibu elopement, that will make you say “wow”! 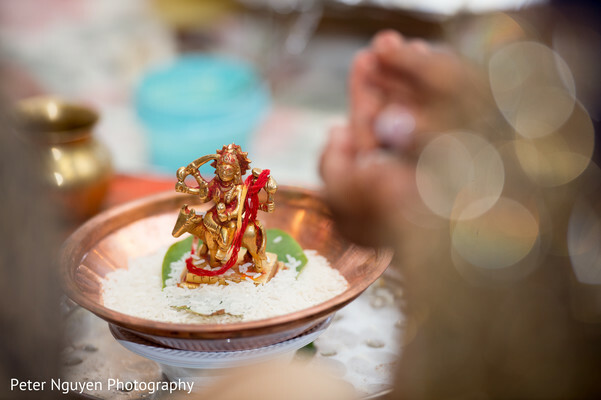 If you want to see all the best memories captured by Peter Nguyen Photography head into the gallery for more stunning images. The insanely cute outdoor ceremony is coming up next! 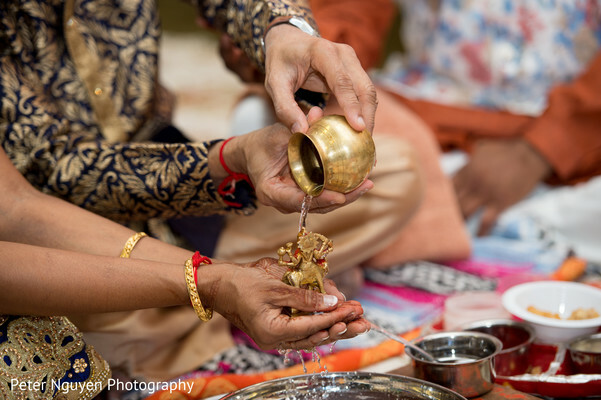 Monsoon Catering, My Fair Bride, 3D Sounds, Wedding Elephants and Peter Nguyen Studio are members of the Platinum Guide. Love what you see? Explore their portfolios.